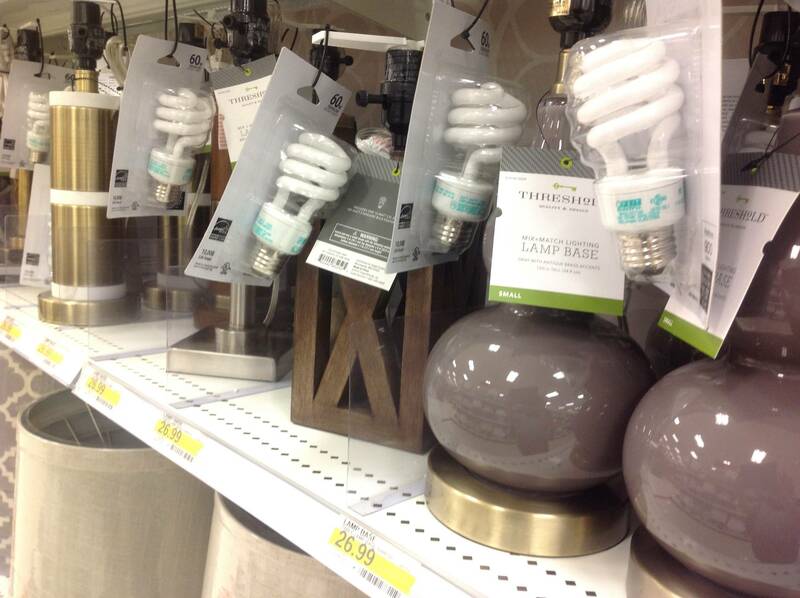 Recently we've been shopping for light fixtures, and have noticed a dramatic increase in non-standard bulbs. CFLs in particular seem to be drifting away from the common threaded base, in favor of 2-post snap in bulbs. I know there are efforts underway to remove incandescent bulbs from shelves, and I don't necessarily disagree with this. But I'm worried about having to find or keep on hand hundreds of different types of bulbs for my light fixtures rather than a consistent size and base. So... Is the standard base becoming a thing of the past? Is a new standard clear on the horizon, yet? Should I try to stick with screw-base fixtures, or is diversity likely to be okay in the long run? As of 2017, regulatory changes in the United States have obsoleted most of the answers here (and elsewhere on the Internet). Short answer: Edison screw-type bases aren't going away. The US Department of Energy no longer considers lamp base when certifying Energy Star luminaires and lamps. Lamp base can even be changed without having to re-certify the product. The California Energy Commission mostly nullified its prohibition on incandescent lamp usage. Title 24 still requires "high efficacy luminaires" on new construction, but the definition expanded from luminaires that can only use fluorescent/LED lamps to luminaires that could use fluorescent/LED lamps. Notice that most luminaires include a free CFL; this lamp is necessary for the luminaire to meet the definition of high efficacy. The fact that the CFL can be swapped out for an incandescent lamp is now irrelevant. The slightly smaller dimensions and quicker twist-lock insertion/removal of pin bases isn't enough to overcome the ubiquity of Edison bases. That's why GU24 bases are rarely found outside of specialty lighting stores. It's not uncommon for a luminaire with a GU24 base to be priced $20 more than the E26 variant. Many countries are banning the sale of incandescent bulbs over the next decade. Canada is planning on banning them in 2012 (not entirely sure if this is a done deal or not though), USA is banning them at different wattages starting in 2012 and ending in 2014. The GU24 (two-pin) base is being introduced to force the transition, and prevent incandescent bulbs from being used in newer fixtures. What is a GU24 base and how is it related to CFLs? The GU24 socket and base system is designed to replace the Edison socket and base in energy efficient lighting fixtures. The ENERGY STAR® Program Requirements for Residential Lighting Fixtures, Version 4.0 require that residential lighting fixtures cannot use the standard Edison screw base, even if they do not have a built-in ballast. The same requirement is included in California's Energy Efficiency Standards for Residential and Nonresidential Buildings, known as Title 24-2005. This requirement is designed to insure that fixtures that receive ENERGY STAR® qualification when using an energy-efficient self-ballasted CFL, or are qualified as energy-efficient under Title 24-2005 cannot be operated with an incandescent lamp. The GU24 socket was designed to be compatible with these energy efficiency regulations. The GU24 base has two dual-diameter pins; the smaller portion having a diameter of 3.4 mm (0.13 inches) while the larger portion has a diameter of 5 mm (0.2 inches). CFLs with a GU24 base are designed to be connected directly to the power line, so they are functionally equivalent to screw-base CFLs instead of normal pin-base CFLs. Unfortunately, ENERGY STAR® refers to CFLs with the GU24 base as self-ballasted pin base lamps, a designation that may lead to confusion with pin-base CFLs that do not have an integral ballast. Some manufacturers are also making modular ballasts with a GU24 base on one end and a socket for a normal pin-base CFL on the other. These modular ballasts can be used to adapt normal pin-base CFLs to fixtures that have the GU24 socket, thereby reducing the amount of material that must be thrown away when the lamp fails. I would bet Edison will not disappear for quite a while though: there are hundreds of millions of fixtures, and it's not practical (or environmentally friendly) for everyone to go out and replace every fixture in the next few years. My guess (and I have no authority in the matter btw :)) is that it will be 2015-2020 before you start finding more GU24 base bulbs than Edison. Also, you can get Edison to GU24 adapters, which means even if Edison bulbs themselves disappear, you can still use your existing fixtures. Five years gone, here's the situation in America today: March 2016. Or rather, shops near Berkeley, California, which had a big hand in development of the CFL. Target. Incandescent bulbs (tweaked to be somewhat more efficient with halogens and high-temp inner bulbs) are readily available, four for $5. 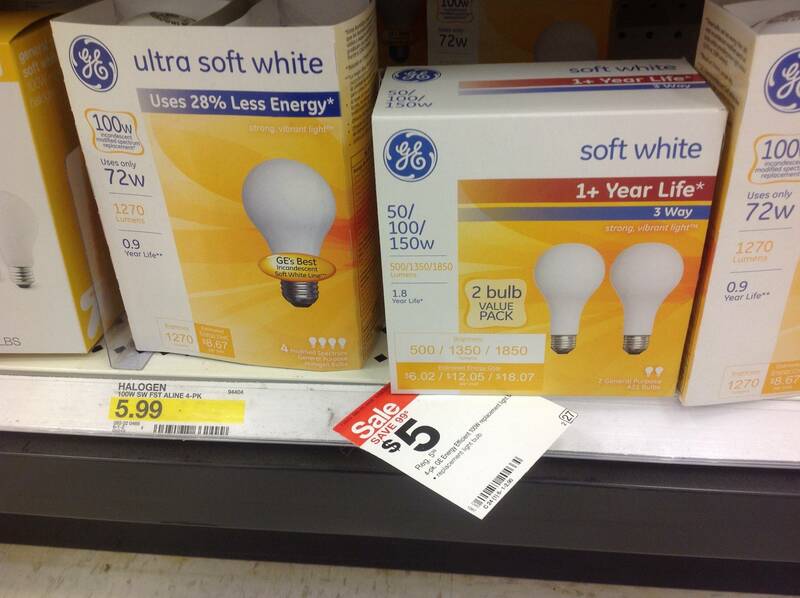 Pretty close to the old 1980s price for quality plain bulbs, adjusted for inflation. Target. Every fixture has an Edison E26 base, there are no GU24 fixtures in the store. Note they give you a free CFL with each fixture. Home Depot. Every fixture is Edison or candleabra. Could not find any GU24s. They do not supply bulbs, and boxes talk like incandescents are normal, some acknowledge CFLs but have never heard of LEDs. 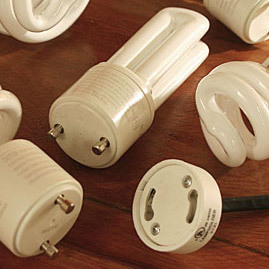 In individual bulbs, LEDs are rapidly elbowing out CFLs. 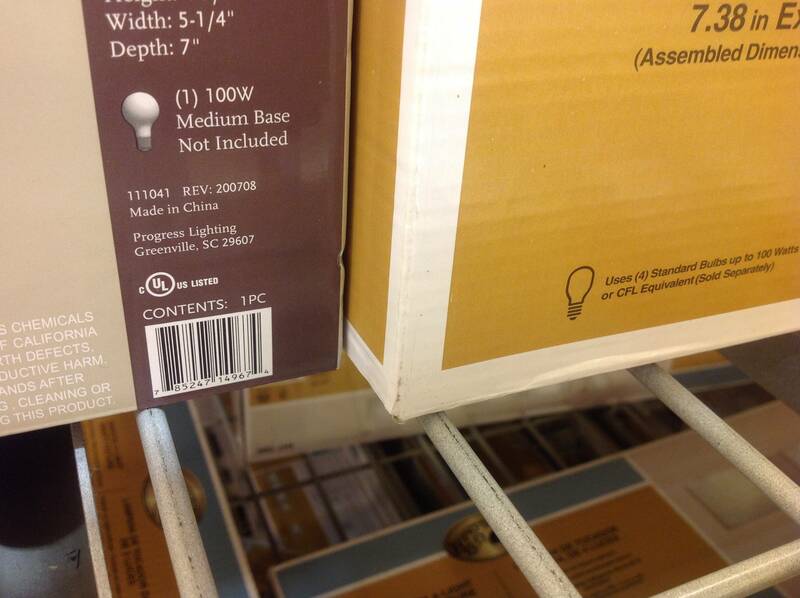 They dominate the shelf space at CostCo and Ikea stopped selling CFLs last year. Most everything is either Edison E26 or candelabra, GU24 bulbs are scarce. Edit: I did find a GU24 bulb. It was in a Habitat for Humanity ReStore, which is a sort of flea market for construction materials. It looks like it was new old stock some store donated because they couldn't sell it. This page on Lightbulbs Direct has information about the various types of fitting. There are two main type - bayonet and screw. Each of these has sub types, two for the bayonet, four for the screw cap. In the UK it used to be pretty much exclusively the wider bayonet fitting that was used, with the occasional screw fitting just to confuse you. Other countries would have different fittings. I think that with increased globalisation of manufacture and sales - which country doesn't have an Ikea! - we are seeing appliances and light fixtures from around the world being sold everywhere so there has been an apparent proliferation of fittings, rather than any one fitting being deliberately being phased out either by manufacturers or by politicians making laws. What are being phased out (certainly in Europe if not worldwide) are incandescent bulbs in an effort to reduce the energy we use. In fact the compact fluorescent low energy bulbs are now being replaced by LED bulbs which have become more popular as the price lowers and as the colour of the light they produce has become "better" (for want of an objective term). Just buy the bulbs you need for the fixtures you have. Until low-cost LED lighting is available, I'm afraid incandescent lighting is going to be a mainstay in my house. I tried the compact fluorescent, bulbs. I really wanted them to win out, but frankly I didn't get the promised benefits for the extra cost. They burn out just as quickly if not more so than the incandescent bulbs in my experience. Also, the one major thing is that they are 99% guaranteed to break if you drop them, while their progenitors will bounce at least 75% of the time unless you drop them from a great height. I've broken so many of those stupid coiled fluorescent bulbs it just isn't funny. The california building code ironically is making it harder to use efficient environmentally friendly bulbs. Where I would normally buy standard E26 base LED bulbs, my new fixture requires GU24 and comes with CFLs with this base. Now I have to get an adaptor back to the standard E26 bases, just to use the LED bulbs the mandate was supposed to encourage me to use in the first place. It is ironic that the California mandate is pushing users toward inefficient mercury containing CFLs and making it harder to use the more efficient and environmentally friendly LEDs with better light quality. The discussion covers mostly regulation, preferences and availability. Consider the practicality of the GU24. Have you ever twisted the glass portion free of a stuck Edison base that then is very reluctant to exit the fixture? A child or otherwise careless person won't shock himself inserting a finger or two into a live GU24 fixture. Not the answer you're looking for? Browse other questions tagged lighting bulb or ask your own question. Are there lightbulb base adapters available? What type of light bulb connector is this? 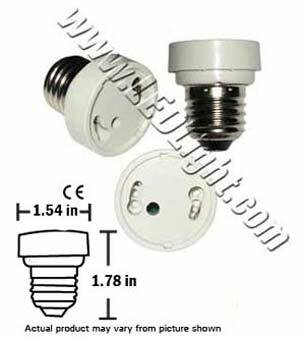 What is the standard 120V light bulb screw base in the US? What is the lifespan of a typical incandescent light bulb? Are GX24Q-3 bulbs compatible with G24Q-3 bases and vice versa?